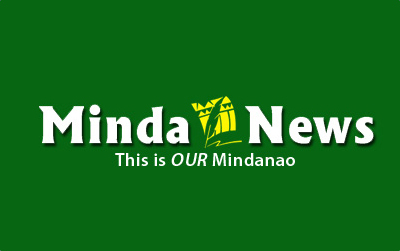 DAVAO CITY (MindaNews / 2 Dec) – Dimataling. It is one of the interior towns of the Baganian Peninsula of Zamboanga del Sur. Located along the coastal area between Zamboanga City to the west and Cotabato City to the east, it must have been a contested area even way back the pre-conquest era. But based on the demographic reality of a dominant Maguindanao population in the contemporary era, it must have been the Maguindanao Sultanate that exerted a greater influence over this area during the heydays of that Sultanate. However, there are also pockets of Samal-Badjao families residing here. But if one were to ask who were the original inhabitants of the low-lying hills and plains that constitute this municipality, one could conjecture that it was the Subanen for they are known to have populated most of the Zamboanga peninsula since time immemorial. Dimataling. If the Subanens were the first to settle in this place, then its original name has disappeared in the mist of time. For its present name – which can be traced back to the time when the Maguindanao Sultanate flourished – is derived from the name of a fierce Moro warrior named Dimataling. So the town’s legendary narratives indicate and which has been passed on to the present citizens of this town made up of close to 18,000 Subanen, Maguindanao, Samal-Badjao, Cebuano (from Cebu and Negros Oriental) and Bol-anons. Multi-ethnic – with a tapestry of cultures and faith traditions – Dimataling to the mata (eye) of an outsider-beholder can either be a place where tensions could erupt into violence or a perfect place for multi-culture/faith dialogue. In fact, Dimataling is both. In its name – DIMATALING – is the word that means eye, and in this place, the eye has seen both the impact of violence and promise of peace. The Jesuits, based in Zamboanga City, were the first missionaries to explore the coastal area of the Zamboanga peninsula, a few must have reached Dimataling and the adjacent towns of Ipil, Margosatubig and others. Migrant settlers from Cebu and Negros Oriental came in droves a decade after the Second World War, most moving from the towns of Zamboanga del Norte and Misamis Occidental searching for a land to own and till. The fertile land of Baganian and its access to rich fishing grounds were naturally attractive to those seeking a promise of a better life. Since there was peace and both Moro and Subanen communities were not averse to the coming of migrants, the Bisaya settled in. This, despite the fact, that it was not easy to reach these places in the 1950s-60s. Up till the 1980s, there was no road connecting the settlements in the Baganian to Pagadian City; these places could only be accessed through the sea and the travel was both tedious and dangerous. Just before martial law , Dimataling was poised to become a progressive town with its productive farms (coconut, rice and cornfields), abundant fishing grounds and with a port. Which was why when the Columban missionaries (mainly Irish and Australian) decided to expand their presence in Western Mindanao, Dimataling became its main center in the Baganian. A church, convent and a Catholic school were built in the poblacion. Martial rule in 1972 would irrevocably change the town’s history. In the few years just before martial rule, tensions had arisen in central Mindanao which eventually expanded towards the west. These gave rise to the Baracuda-Ilaga armed animosity which erupted in orgies of killings, burning and pillage across the communities caught in the crossfire. In 1974, the town of Dimataling was burned; everything was razed to the ground. While it was the burning of Jolo that attracted the greater media attention, the one in Dimataling was no less tragic for the inhabitants, most of whom were forced to evacuate to safer grounds. It would take years, before the town could be rebuilt. In fact, forty years later, the wound which was slashed across the body politic of the municipality has not been fully healed. On a personal note, because I was a staff member of the Mindanao office of the Philippine Business for Social Progress, I visited Dimataling in the tension-filled days following the town’s burning in the company of Warren Ford, the Columban priest assigned in that area. Through his initiative PBSP and MISSSA provided assistance for the building of bunkhouses, a rice-corn mill as well as carabaos and seeds so the farmers could start to plant once again. These encouraged the evacuees to return to Dimataling. In the few days that I was there recently (end of November, early December 2013) at a celebration of the Mindanao Week of Peace, those who were still children in 1974 could still recall how those assistance helped them rebuild their lives. It is not just the tragic history of ethnic animosity which constitutes the cross that Dimataling’s citizenry carry on their shoulder. It is also the implications of a political dynasty – which is not that of a Moro clan but a Bisaya-Christian family – that has ruled this town for too long. Despite having the highest internal revenue allocation (IRA) in the Baganian, Dimataling is the least developed of the towns in terms of infrastructure development. Entering the town from the cemented national highway, the four-kilometer road that connects the highway to the poblacion – unpaved and muddy during the rainy days – is the clearest indicator of the incapacity and ineptness of the LGU. And yet, there seems to be no light at the end of the tunnel in terms of this dynasty losing its grip over the municipality. In this landscape, peace and order is found wanting. Killings take place and no one is ever arrested and victims have no recourse to justice. There is rampant sale of drugs. Anyone can carry a high-powered arms and it is taken for granted despite its threat to any innocent bystander. In such a setting, the rido (the cycle of vendetta killings owing to unresolved conflicts between clans/families) thrives and it did between two families of the same Maguindanao clan for sometime until peace advocates entered the scene and managed to get both parties to sign a truce. Towards the late 2011, these peace advocates led by Ustadz Haron Dagadas, Fr. Pepito Suarin (parish priest) and Police Captain Bunga (from Parang) joined forces to bring the two families together for a series of conflict resolution sessions. Eleven killings on both sides had taken place as the rido raged, and relatives on both sides responded to the challenge of the peace advocates to find ways to resolve the long-pestering conflict. For almost two years, this localized peace agreement has helped reduce the tensions as well as the killings in Dimataling. On 1 December 2013, during the celebration of the Mindanao Week of Peace, the peace advocates pledged to continue building up on the gains as they brought together Subanen, Maguindanao and Christian-Bisaya political and church leaders to reiterate their support to the inter-faith dialogue and peacebuilding collaborative efforts. However, despite having experienced a period of peace, Dimataling is still seen by the eyes of peoples living in neighboring places including Pagadian City, as a place to avoid lest one gets hurt. Despite the gains in building up relationships of harmony and solidarity, the peace advocates have no illusion that sustainable peace has been attained in Dimataling. Thus, their resolve to continue pursuing dialogue, while celebrating the small gains attained through persistent efforts at seeing, judging and acting. Appropriating their town’s name, the peace advocates can readily claim that – “Di mata lang (not only the eye) can make a difference in this quest for peace; angayan nga bation gayod sa kasingkasing (it has to be felt by the heart). Recalling the Little Prince’s quote that what is essential is not visible to the eye, even as the eye can see, it is the heart that will guide the people’s feet into the way of peace.